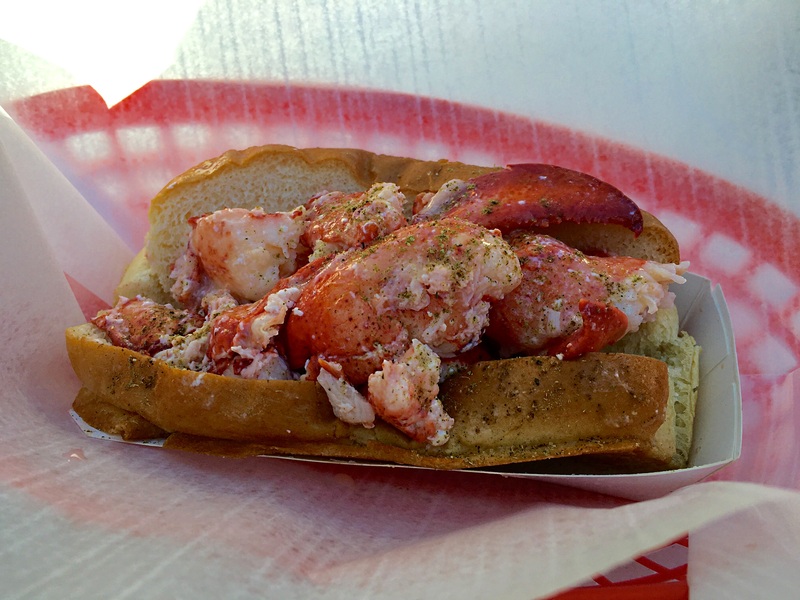 My first lobster roll was at Luke’s years ago in NYC. I was excited to find out they recently opened a small place in Las Vegas. It is basically on the outside area of the Fashion Show Mall. It was a very cold and windy day and since all their seating was located outdoors, we quickly ate our food and left. As we were leaving I told them that they should open a place in OC and they said they might. Sure, I have heard of that before!! 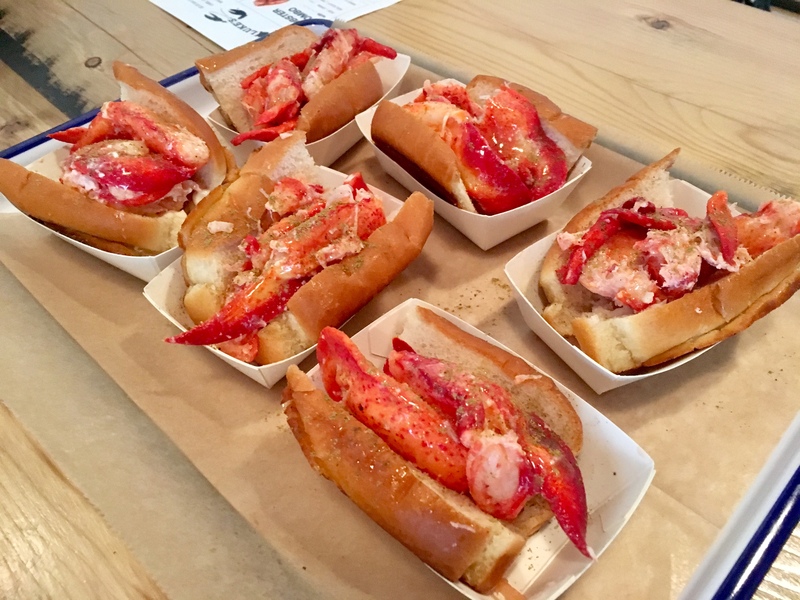 The lobster was served cold and was very fresh and tender. A good amount was served on a perfectly toasted bread. 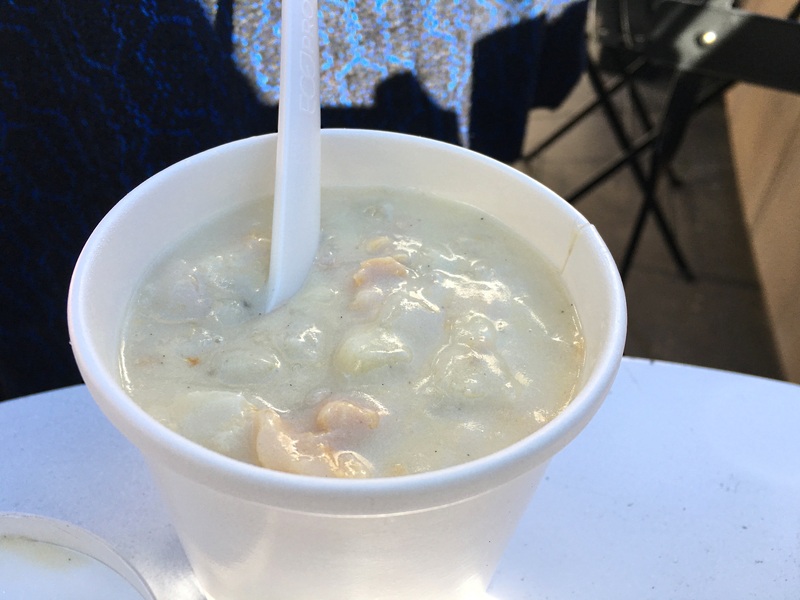 My husband and mom enjoyed the clam chowder. It was a perfect thing to eat on a cold day. There were good amount of clams in there too.